Neural networks are computer models of connected units or nodes designed to transmit, process, and learn from information (data) in a similar way to how neurons (nerve cells) work in humans. In technology, neural networks are often referred to as artificial neural networks (ANNs) or neural nets to distinguish from the biological neural networks they’re modeled after. The main idea behind ANNs is that the human brain is the most complex and intelligent “computer” that exists. By modeling ANNs as closely as possible to the structure and system of information processing used by the brain, researchers hoped to create computers that approached or surpassed human intelligence. 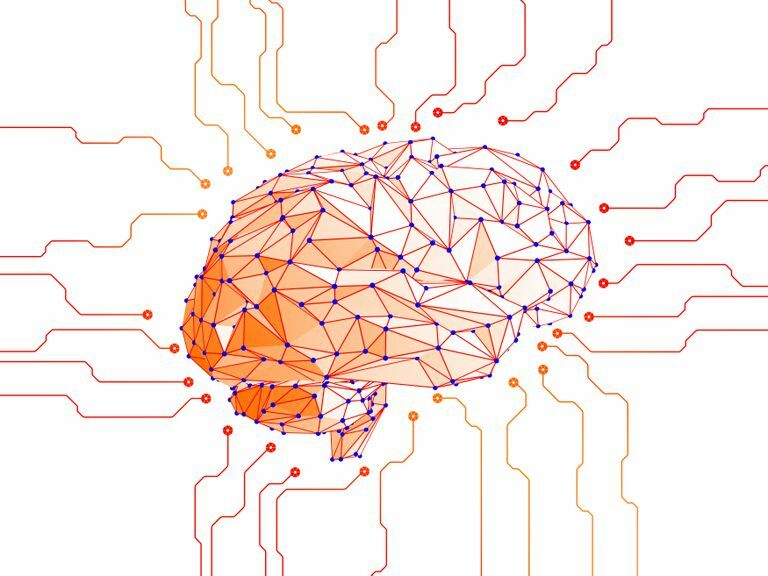 Neural nets are a key component of current advancements in artificial intelligence (AI), machine learning (ML), and deep learning. To understand how neural networks work and the differences between the two types (biological and artificial), let’s use the example of a 15-story office building and the phone lines and switchboards that route calls throughout the building, individual floors, and individual offices. Each individual office in our 15-story office building represents a neuron (node in computer networking or nerve cell in biology). The building itself is a structure containing a set of offices arranged in a system of 15 floors (a neural network). Applying the example to biological neural networks, the switchboard that receives calls has lines to connect to any office on any floor in the entire building. Additionally, each office has lines that connect it to every other office in the entire building on any floor. Imagine that a call comes in (input) and the switchboard transfers it to an office on the 3rd floor, which transfers it directly to an office on the 11th floor, which then directly transfers it to an office on the 5th floor. In the brain, each neuron or nerve cell (an office) can directly connect to any other neuron in its system or neural network (the building). Information (the call) can be transmitted to any other neuron (office) to process or learn what is needed until there is an answer or resolution (output). When we apply this example to ANNs, it gets quite a bit more complex. Each floor of the building requires its own switchboard, which can only connect to the offices on the same floor, as well as the switchboards on the floors above and below it. Each office can only directly connect to other offices on the same floor and the switchboard for that floor. All new calls must start with the switchboard on the 1st floor and must be transferred to each individual floor in numerical order up to the 15th floor before the call can end. Let’s put it in motion to see how it works. Imagine that a call comes in (input) to the 1st floor switchboard and is sent to an office on the 1st floor (node). The call is then transferred directly among other offices (nodes) on the 1st floor until it is ready to be sent to the next floor. Then the call must be sent back to the 1st floor switchboard, which then transfers it to the 2nd floor switchboard. These same steps repeat one floor at a time, with the call being sent through this process on every single floor all the way up to floor 15. In ANNs, nodes (offices) are arranged in layers (floors of the building). Information (a call) always comes in through the input layer (1st floor and its switchboard) and must be sent through and processed by each layer (floor) before it can move to the next one. Each layer (floor) processes a specific detail about that call and sends the result along with the call to the next layer. When the call reaches the output layer (15th floor and its switchboard), it includes the processing information from layers 1-14. The nodes (offices) on the 15th layer (floor) use the input and processing information from all of the other layers (floors) to come up with an answer or resolution (output). Neural nets are one type of technology under the machine learning category. In fact, advancement in research and development of neural nets has been tightly connected to the ebbs and flows of advancement in ML. Neural nets expand the data processing capabilities and boost the computing power of ML, increasing the volume of data that can be processed but also the ability to perform more complex tasks. The first documented computer model for ANNs was created in 1943 by Walter Pitts and Warren McCulloch. Initial interest and research in neural networks and machine learning eventually slowed and was more or less shelved by 1969, with only small bursts of renewed interest. Computers of the time simply did not have fast enough or large enough processors to advance these areas further, and the vast amount of data needed for ML and neural nets wasn’t available at the time. Massive increases in computing power over time along with the growth and expansion of the internet (and thus access to massive amounts of data through the internet) have solved those early challenges. Neural nets and ML are now instrumental in technologies we see and use every day, such as facial recognition, image processing and searching, and real-time language translation—to name just a few. Finance: Neural nets are used to predict currency exchange rates. They are also used in the technology behind automatic trading systems used in the stock market. Medicine: The image processing capabilities of neural nets have contributed to technology that helps more accurately screen for and detect early-stage and difficult to identify types of cancers. One such type of cancer is invasive melanoma, the most serious and deadly form of skin cancer. Identifying melanoma at earlier stages, before it has spread, gives patients with this type of cancer the best chances to beat it. Weather: The ability to detect atmospheric changes that indicate a potentially serious and dangerous weather event as quickly and accurately as possible is essential for saving lives. Neural nets are involved in the real-time processing of satellite and radar images that not only detect early formation of hurricanes and cyclones but also detect sudden changes in wind speed and direction that indicate a forming tornado. Tornadoes are some of the strongest and most dangerous weather events on record—often more sudden, destructive, and deadly than hurricanes.